Brainwashed - Sungod, "Wave Refraction"
Much like their previous, self-titled album on the Holodeck label, Austin’s Sungod—the duo of Michael C. Sharp and Braden Balentine—completely ignore any sort of traditional genre demarcations and instead produce a sprawling instrumental work that covers a little bit of everything, musically speaking. From gigantic, boisterous jam sessions to restrained, intricate compositions, Wave Refraction is an expertly composed, diverse work with an exceptional sense of style and panache. Admittedly, the album is a bit heavily front loaded with the opener "Little Gold Mouth," one of the most captivating songs on an already strong record. 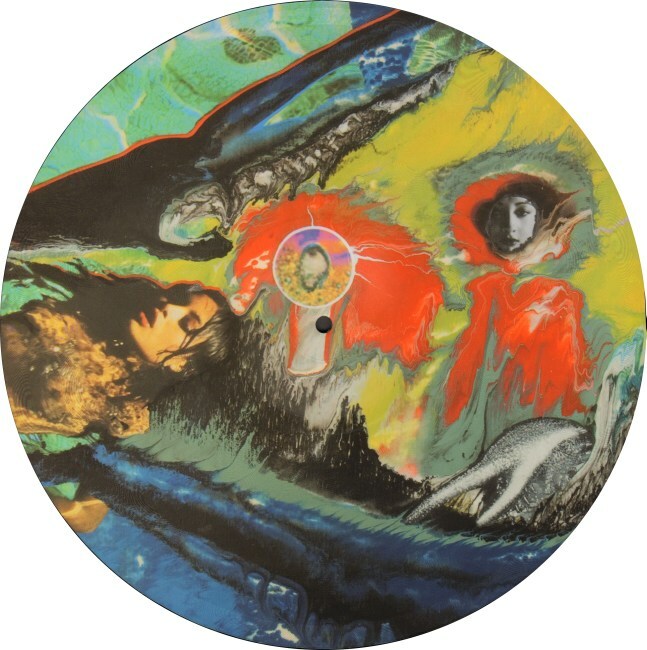 This is a perfect statement of purpose for Sungod because it draws from all of their stylistic touchstones. The vintage, lengthy synth moments are soon met with pounding drums and squalling guitar. Once it solidifies with some dramatic synth pads, it takes a very kraut-ish turn, with just the right level of 'rocking out' before it becomes too much or too pretentious. The synth noodling that rises to the surface in its latter moments hints at some of the more prog-like turns the record will take. The progressive turn becomes most pronounced about mid-way through the album, with "Birth & Speed Merging" being built largely around a fluttering flute passage and some complex drum-solo like percussive layers. This continues into the following "Dream Sequence": an appropriately named loose narcotic haze of structured flute melody surrounded by heavily processed and tremolo drenched guitar in full improvisation mode. It is not all woodwind Tull-isms though: "Hypnotism" has the duo slow things down, blending gentle guitar strums and shimmering synths into a slower, more pensive pace. The tempo is kept down, but the mix is rather complex, with both keyboards and guitars shifting roles as the primary focus. "Wave Refraction" is more of a straight 1980s tribute, however. The pulsating electronic sequences and clean, melodic guitar is a pleasant nod to some of the lighter synth pop moments of the era, but the complex, intertwining arrangement results in a far more complex, and captivating, sound. To intentionally defy expectations, Sharp and Balentine end the album on a very different note with "Von Innen." The rigid drum machine and sequenced synthesizers give a club oriented sheen to a song already that stands out oddly different than what preceded it. Once the guitar and piano is introduced it gives it a fitting prog edge, but as a whole it is a drastic departure than the five songs that came before, but one that still sits nicely with the remainder of the record. Wave Refraction is an exceptional album from start to finish, with every song quite a bit different from one another, but still functioning as a single component of a unified overall work. My only complaint would be that, even though the flow is strong from one song to the next, the album hits its peak early on with "Little Gold Mouth," which I think would have been stronger as a centerpiece to the album. 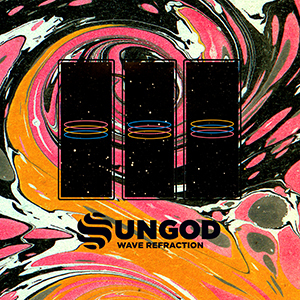 This is a minor nitpick of a complaint though, because Sungod have produced another album that captures the duo’s unique sound and sense of composition.